When I first started in business, meeting notes were a formal thing. There was someone in on the meetings who knew how to take minutes, the format, and the important information to contain therein. As time has passed, I see less and less of this in the professional space, and I honestly don't see that we're missing much by keeping notes in new, less-formal ways. As always, though, innovation can lead to complication if we forget the reasoning behind the practice. 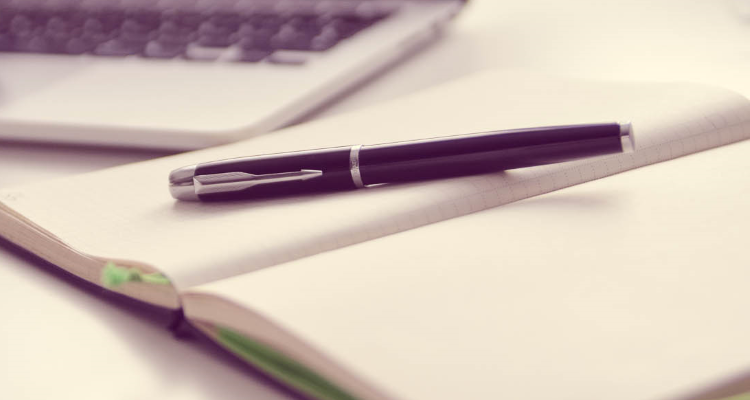 With all of the note-taking options available to us, it can be easy to sacrifice efficiency and effectiveness for the sake of the new and shiny. For those of you looking into new note-taking methods, here are some things to keep in mind as you make your decision. If you're wondering if note-taking would benefit your business meetings, it would, and here's why. One of the major complaints I hear from executives is that their meetings yield too little. They feel like while much was discussed, little was accomplished. To avoid this, assign someone to take notes (preferably someone without a stake in the meeting's outcome) and provide a meeting recap soon after. This recap is simply a compilation of the major points brought up during the meeting and potentially any concerns brought up by other team members. You can take these notes a step further by adding a section of action items for the people involved. The complaint that usually follows meetings yielding too little is the issue of redundancy. Meeting after meeting might cover the same topics because people either had not attended the previous meeting or for one reason or another did not address some of the issues brought up in the previous meeting. By keeping notes of your meetings and reviewing them before each one, everyone is brought up to date not only on what was covered in the previous meeting but on the topics this meeting should be able to comfortably cover. For the most part, I don't believe in lazy employees. Do they exist? Probably, but I've found that the vast majority of the time, lazy habits can be turned around by tweaking the amount that people are held accountable. It can be easy to make sure "lazy" people are held accountable for nothing, but this only ensures continued laziness. Taking notes and writing down the tasks for which each team member is responsible is a great way to hold people accountable. Further, by reviewing those notes at the beginning of the meeting and asking if each task was done, you are not only holding the team member accountable to you or their boss but to their co-workers, which for many people tends to mean more. If I cause my boss more work, I might hear about it for a couple of minutes. If I cause my co-workers more work, the consequences can be much worse. Running an efficient meeting is a double-edged sword. Of course you want to stay on task and come out of the meeting with the intended result, but in my experience, the unintended result, the spontaneous idea or the new program proposed in a related meeting, can be just as fruitful. These ideas can be squashed in a meeting by someone overly concerned with meeting efficiency or can be given too much attention by someone unconcerned with it. The trick to walking this fine line is taking good notes during the meeting. When an idea is brought up that would be best addressed during another meeting or privately, don't just say something like "let's take that conversation offline." Not only does that not mean anything, but more often than not, you're not going to have that conversation. When a tangent occurs, make a note of it and hold yourself accountable for addressing the concern. Taking notes leads to people having a better recollection of what happened during the meeting. Taking great notes leads to results. I've seen a misconception in businesses that great meetings lead to fewer meetings. This is not necessarily the case. Great business meetings can just as easily lead to more meetings, but they're more focused ones. This is related to the "Tangent Insurance" section of this article. Some of the best meetings you'll have won't follow Robert's Rules of Order (thank God). They'll border on chaos, but it's productive chaos. These meetings can lead to changes in the way your company operates, its procedures, structure, and products and services offered. These are important, and it is equally as important to make the most of them. By taking great notes, you'll be able to create new meetings between the appropriate people. By setting these up as the result of great note-taking, you're making sure all of the right people are in the room for the right conversations, thereby leading to shorter, more focused meetings, which can save your company significant money in the long run. 5 Reasons Why You Should Be Taking Notes In Every Meeting - InLoox • Copyright 1999-2019 © InLoox, Inc. All rights reserved.